NYAPRS Note: NYAPRS is very pleased to offer an informal discussion with NYS Medicaid Director Jason Helgerson at our April 19-20 Annual Conference. See next posting for details. 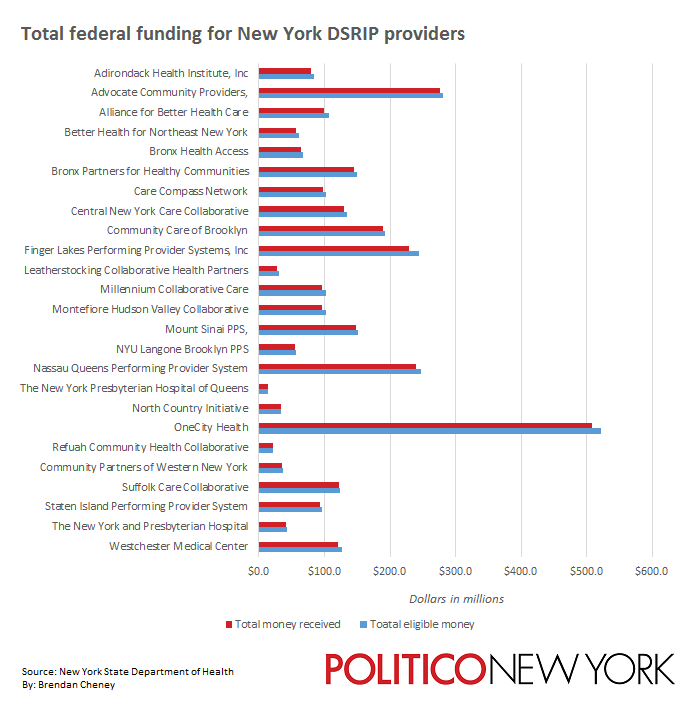 Midway through one of the nation’s most ambitious Medicaid reform efforts, New York providers are hitting their goals, at least for the most part. Even as some performing provider systems outpace others, the state is capturing the vast majority of eligible federal dollars and reducing unnecessary medical costs. Preventable emergency room visits are down 12 percent, according to the state Department of Health. Potentially preventable readmissions are down 15 percent, the department said in November. The 25 performing provider systems charged with implementing the state’s Delivery System Reform Incentive Payment program have drawn down 96 percent of the federal money they have so far been eligible to achieve, a more than $3 billion haul that has been spread across the state. In the most recent quarter, these performing provider systems — which are groups of hospitals, physicians, and community-based organizations that chose from a menu of projects aimed at reducing avoidable hospital admissions by 25 percent — recouped 90 percent of available funds. During the past two quarters, payment from the federal government has been more directly linked to outcomes data, which is why the percentage is beginning to fall. During the first two years of the DSRIP program, the federal government was essentially paying for paperwork. That’s part of why it is so hard to measure the success of the DSRIP program to date. The Cuomo administration touts the performing provider systems' performance, although Jason Helgerson, state Medicaid director, is careful to warn that the hard part still is ahead. It will be still be a couple years before payments are made for projects being implemented today.